Gifted in 1933 by Reginald B. Loder, Squire of Maidwell 1888 – 1931. The Loder Hall has developed into a Village Community Centre benefiting from major refurbishment in 2005 and administration as a Registered Charity (243259). The Loder Hall is available for hire for various purposes. For bookings, please refer to the contact information below. Small ( not compliant with food preparation regulations). Domestic style hot plates, fridge & hot cupboard, microwave, kettle and washing up facilities. Regular weekly community coffee mornings, day and evening classes (Keep Fit, Ladies Group, Ballet) benefiting all age groups, village social events plus visiting theatre groups and speakers. Also used, as required, by Parish and local Parochial Church Councils , as local Polling Station and designated Emergency Reception Centre. 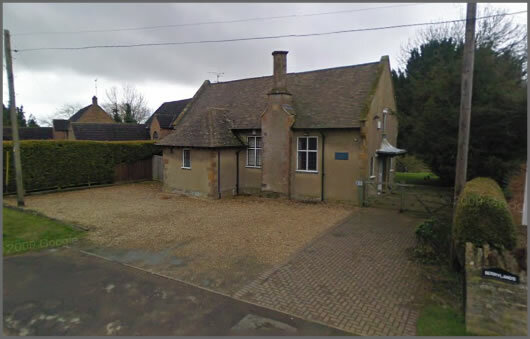 Social, rehearsals, educational, family occasions, business promotion, studio activities – generally anything which a simple Village Hall space has to offer and can realistically accommodate. The Hall is fully accessible as the Disability Discrimination Act. We draw attention to our frontage to the very busy A508 Trunk Road requiring children to be fully supervised at all times and also the car parking limitation of nine. No alcohol Licence. Fire Regulations limit to 56 seated. The rear field is owned and maintained by the local Parish Council. Hirers are required to leave the Hall clean and tidy, minimal waste disposal provision.